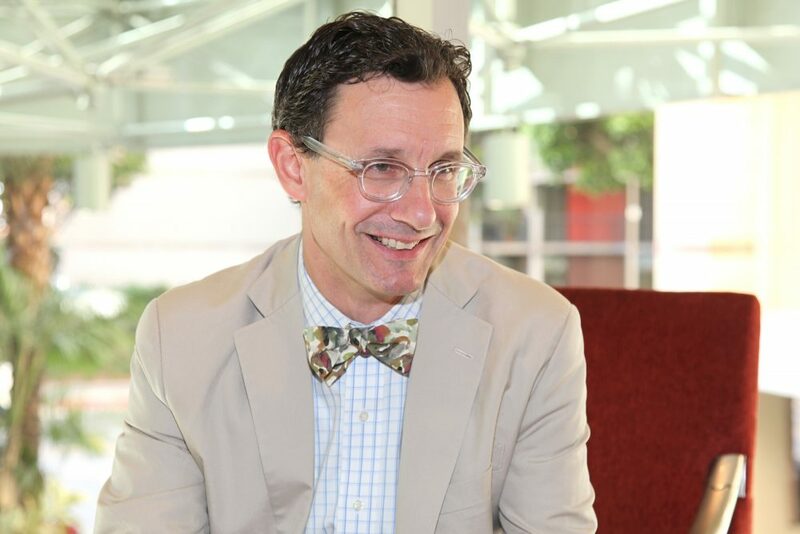 Steven Tepper is dean of the Herberger Institute for Design and the Arts at Arizona State University, the nation’s largest comprehensive design and arts school at a research university. He is also co-editor and contributing author of Engaging Art: The Next Great Transformation of America’s Cultural Life. Before delivering a keynote address called “Does Arts Engagement Even Matter?” at a Zócalo conference in downtown Los Angeles entitled “What Can the World Teach California About Arts Engagement?” he answered some questions in the green room about Michael Jordan, art deco, and the best park in Phoenix, Arizona. What’s the last thing that inspired you? In Birmingham, Alabama on Friday I watched the National High School Forensics Competition, where a friend of one of my kids was competing. Watching these kids put together political arguments in response to what they see in the world and what they want to see, about sustainability, social justice … It was inspiring. Our future is in good hands. Michael Jordan. I guess I wasn’t really a child; I was probably a young adult. He was an innovator and he was redefining what athletes meant in public life. I think he was the first creative athlete—on and off the court. Probably parking cars at the D.C. National Bank Tennis Tournament in the VIP section. I was a gatekeeper, basically. I was negotiating power and influence in the sweltering heat of D.C.
What’s your favorite period for design? Art deco. It was an era of urban city design. It took a bit of the edge off of urban life, created whimsy and play. And it reconfigured the design elements we took for granted like railings and windows. What do you hum when you’re distracted? What’s your secret spot in Phoenix that you show people? What if your secret spot is the most popular spot in the city? I go to the park at the top of Camelback Mountain. It’s a great urban park in the desert. And it’s very popular. There’s a sea of humanity all ascending at the same time. Very diverse. If you were a salad dressing, which would it be? Lemon juice and salt and pepper. I don’t think we need the oil. Let’s just enhance what’s there.